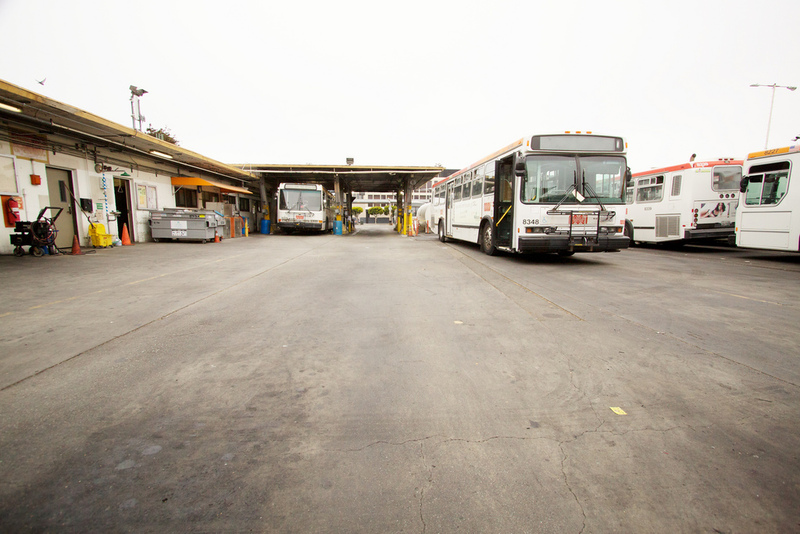 There are typically over one hundred buses leaving this yard every weekday morning for the rush hour; I visited on the weekend, when it was much quieter and many of the buses were still on the site. Neato. Read more at Marcin’s site. According to the book Inside Muni, Kirkland Division was opened in 1950 and still is one of the two diesel bus divisions in the system (the other is Woods Division at 22nd and Indiana Sts.). When I visited Fisherman’s Wharf during the 60s and 70s I would often walk around the outside of the yard to look at the changing occupants of the yard. First they were Mack C49 and White 798 coaches, later GMC T8H-5305 and AMG 9635-6 coaches. And of course, the 3 tiny White 784 coaches that were used on the 39 line for many years. These photos are amazing! 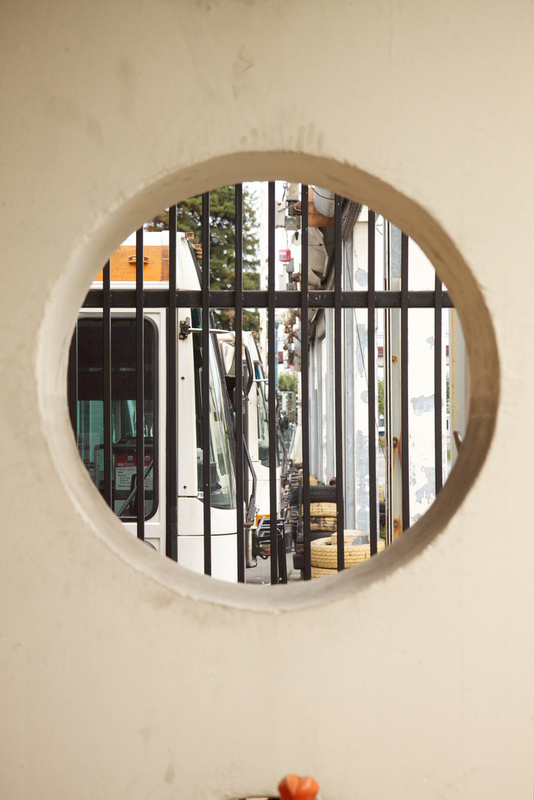 I’m doing a photo story about muni for a class. Do you know if a quick tour of the yard is ever possible?